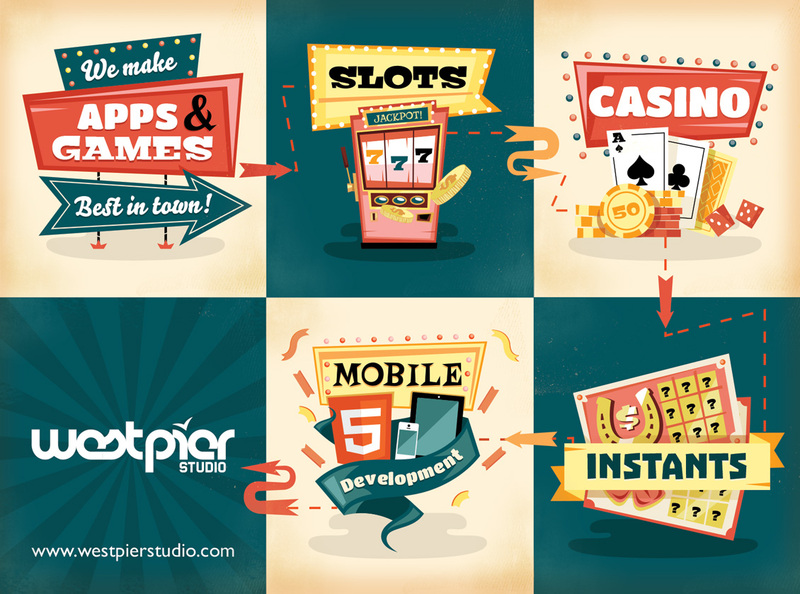 West Pier Studio have over the last 5 years in collaboration with Gamesys and BGO developed more than 60 unique online gambling applications, spanning across multiple disciplines including slots, casino games like roulette and blackjack, bingo, instant win scratch cards and skill games. 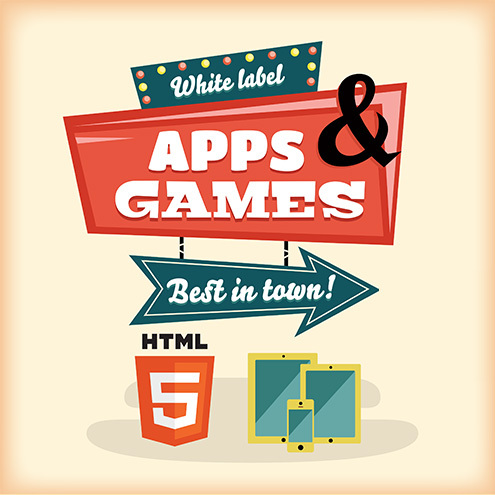 The technology driving games moves fast and as a studio it is our job to ensure we’re using the best tools possible, leaving behind outdated tools like Adobe Flash allows us to leverage the advances in browser based gaming. 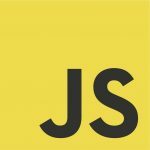 Utilising modern features such as WebGL gives us the power needed to provide features such as HD graphics, skeletal character animation and particle systems that bring our games to life and blur the lines between the web browser and native apps. Our games have been developed to work on all platforms including mobile and can be enjoyed on ventures such as Jackpotjoy, Virgin Games, Monopoly Casino, Virgin Casino, Botemania, Starspins, Tropicana Atlantic City, Caesars, and Heart Bingo. 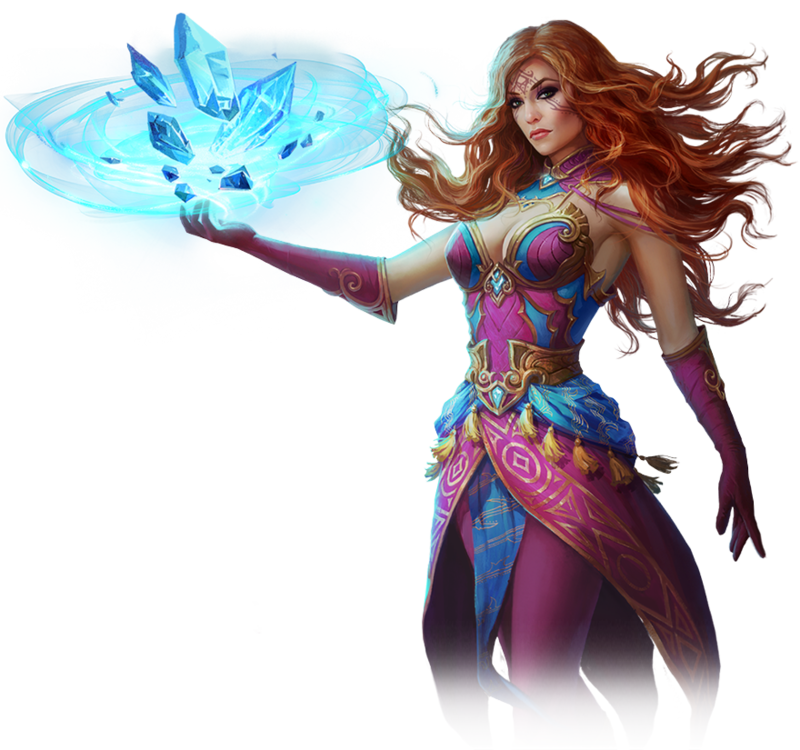 Sapphire Sorceress along with Queen Of The Treefolk were conceptualised and developed by West Pier Studio, using an existing math model we set about designing a brand new look and feel that would appeal to the target demographic. The Background defines the theme and overall style of the slot, it also provides a setting for the symbols, the challenge with creating an awesome background is designing something that will still look fantastic even though the symbols will cover-up a large portion of it, as you can see most of the detail has been limited to the extents of the image. The Frame is the link between the background and where the symbols sit. The design of the frame is critical as it must not only be clearly defined but beautifully integrated into the background design. There are usually 12 or so symbols found in a typical slot and fall into the following categories; High, Mid & Low, we try and create an obvious hierarchy to match the pay-table, in this example the ‘high win’ symbols are characters, they pay the highest amount so naturally need to look the most important, ‘mid win’ symbols are represented by objects or lesser characters like animals and the ‘low win’ by card suites. There are also ‘special symbols’ to consider which are more prized and valuable than all the other symbols in particular the ‘scatter’ as this is generally used to activate big wins / bonuses. Here we see all the main components coming together, note the natural hierarchy in the symbols.